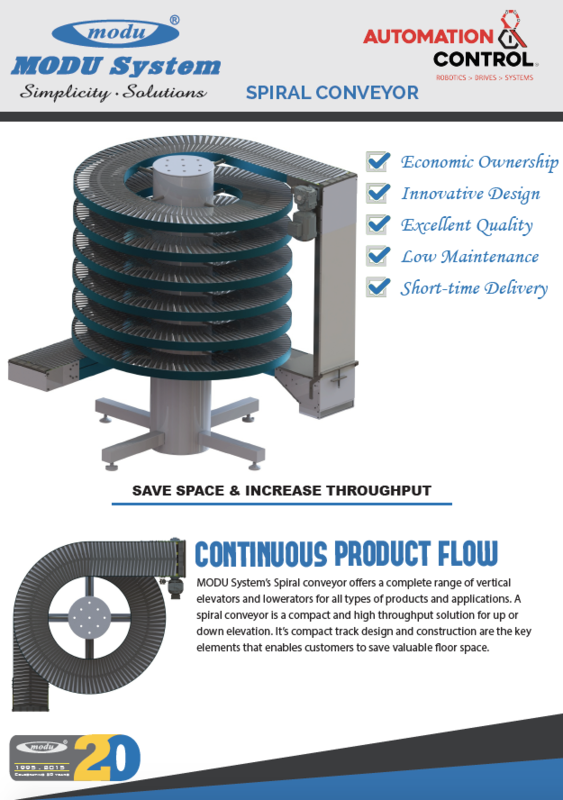 Automation & Control supplies the Modu Spiral Conveyor. 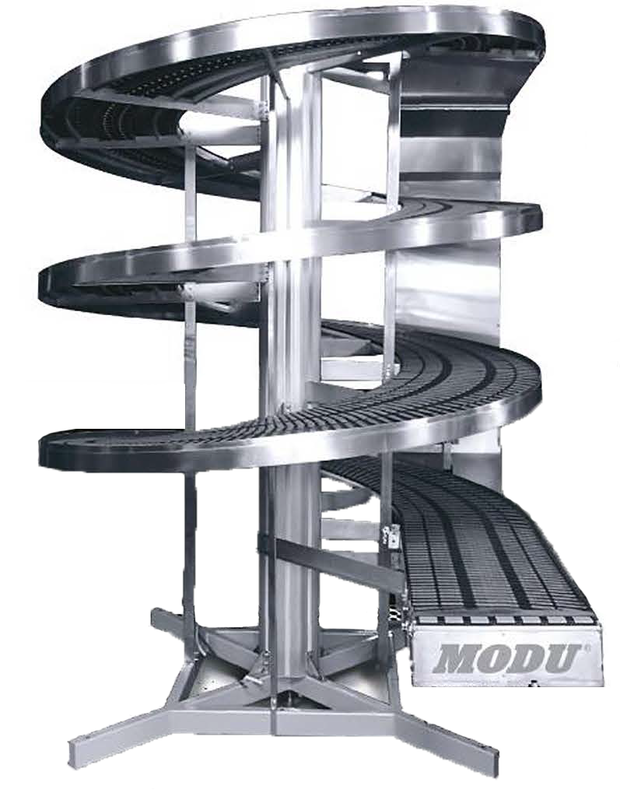 Modu Spiral Conveyors are frequently used to carry food and beverage cases, bagged goods, trays, and other similar items. It is designed to carry large payload with high speed. 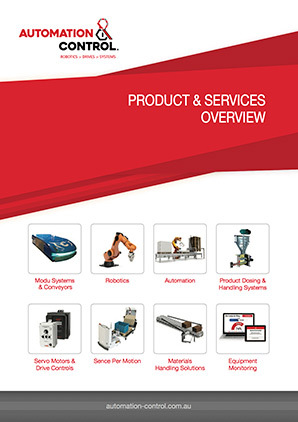 Continuous Flow Elevator/Lowerator liberate enough floor space in case/carton palletising lines, warehousing, or in work-in-progress storage applications by conveying products to an overhead conveyor unit. This machine is ideal for creating aisle ways, clearance for forklifts, and to move product between floors, etc.